2017 EU reissue on 180g = Youn Sun Nah is “one of the finest jazz singers on the planet.” (The Observer - UK). Four years have passed since her last highly successful opus, “Lento”, and now the extremely popular Korean, Parisbased vocal star is back, with a new album. It is a completely fresh project, recorded with a top New York band. 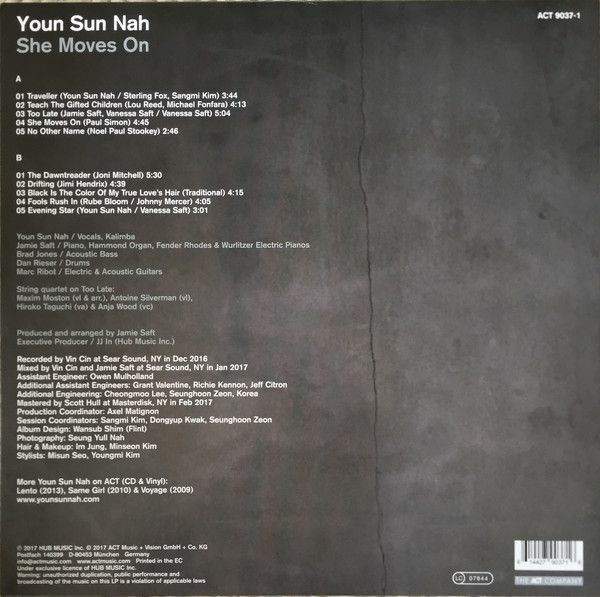 Great intimacy, poetry and charm, pure-toned and emotional honesty – you can expect all of that from Youn Sun Nah.